NCW’s Friday Night Fight Results! 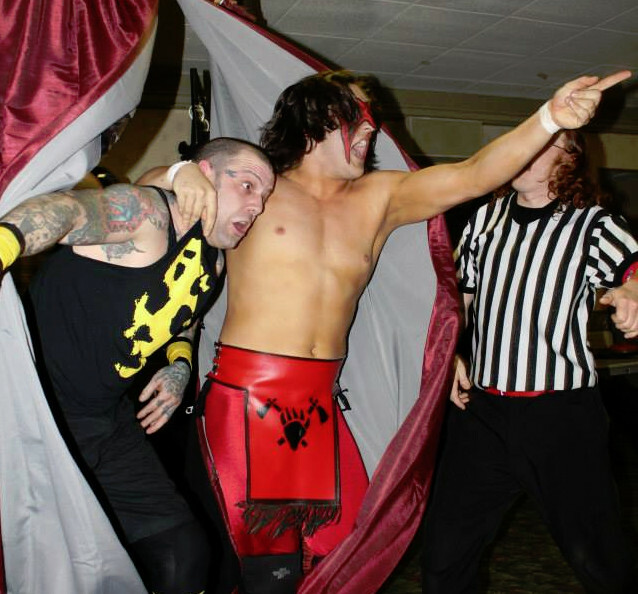 Northeast Championship Wrestling returned to the Norwood Elks Lodge this past Friday night for the Friday Night Fights as the NCW 2013 Season continued its march towards the 17 year REUNION event. – NCW 2013 Rookie of the Year Tomahawk d. Deputy Commissioner Pacifico in a Round Robin Tournament Match to advance into the #1 Contenders Finals. – “The Masshole” Mike McCarthy d. Beau Douglas in a Round Robin Tournament Match after Douglas laid down for McCarthy, revealing to the Norwood crowd their brotherhood for one another. – The BLT (Ruy Batello & the Lumberjake) d. The Underground Anarchy (Tim Lennox & Dominic Delano) w/ Sean Feeney as “The Portuguese Sensation” continued to showcase a vicious streak in his quest to regain the NCW Tag Team Championship. – “The Hard Rock Hellraiser” Todd Sople made his NCW return, defeating Rocco Abruzzi w/ Slash Sullivan in a great back and forth match. – The Loomis Brothers d. The Inglorious Dastards (“Terrible” Tony Caruso & Brandon Behm) via disqualification after the Dastards attacked Eddie Loomis with a steel chair, drawing the DQ. A furious David Loomis attacked the Dastards with the chair following the match. – Steve “The Turtle” Weiner d. “Black Magic” Sean Feeney with the ‘kingdom hearts’. Before the New England Championship Match Deputy Commissioner Pacifico inserted himself into the match as the special referee. As Pacifico made his way out to the ring, a young woman gave Pacifico a mysterious manilla envelope. – Triplelicious d. NCW New England Champion Rob “The Giant” Araujo to seemingly win the New England Championship after “special referee” Pacifico counted a fast three on Araujo. Commissioner Dean “The Beast” Livsley intervened, taking his frustrations out by spearing Pacifico out of his boots. Dean then ordered Trip back into the ring and restarted the match giving “The Giant” an opportunity to roll Trip up for the three. – NCW Tag Team Champions Back to the Fuzion (“The Original Showoff” Mike Paiva & “All Good” Anthony Greene) d. GLAM (Dan Terry & Michelle Mullet) to retain the NCW Tag Team titles after Back to the Fuzion offered an open challenge to any tag team in NCW. Following the match the BLT came out with Ruy Batello looking for a title shot at NCW’s 17 year REUNION, and while Fuzion was more than willing to offer a title match, Anthony Greene will be attending prom on May 2nd. Batello then offered an opportunity to earn a title shot with Mike Paiva taking on a member of the BLT– the Lumberjake! Jake questioned why he would be the one to wrestle Paiva, but Ruy promised that this would help focus Lumberjake on winning the Tag Team titles. – “The Masshole” Mike McCarthy d. Tomahawk to become the #1 Contender for the NCW Heavyweight Championship after Beau Douglas distracted Redd Roche long enough for McCarthy to hit a low blow and steal the victory. 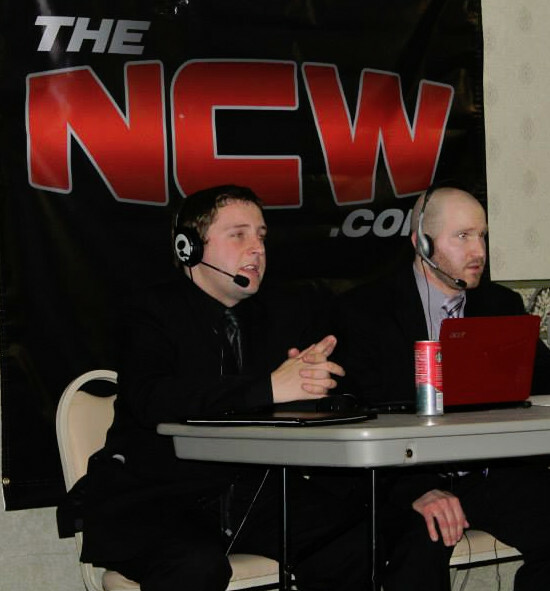 Previous PostPRESS RELEASE: NCW presents the Friday Night Fights!Next PostNCW REUNION Moment: Happy Birthday Doug Summers!